Trying to get your Demon Hunter up to Paragon Level 100? Then why not get comfortable with a couple of high-end gaming peripherals. 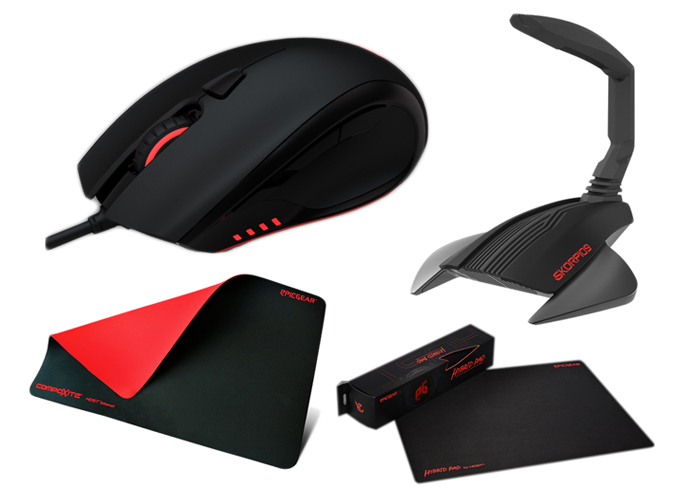 For our latest competition, we've teamed up with EpicGear to give you the chance of winning mice, mouse mats and cable management accessories! There's a whole lot of swag just waiting to be won, so let's break it down. For our first winner we have a MeduZa HDST™ gaming mouse, a Skorpios Cable Management and a CompoXite mouse pad. And that's not all, as we'll also be giving a runner-up a MeduZa HDST™ gaming mouse and a Hybrid Pad! Want to win? Then answer the question below or enter via our dedicated Facebook competition page. And don't forget - you can enter using both methods to get a free second entry and increase your chances of winning! Gaming experience will just boost up after winning this stuffs.